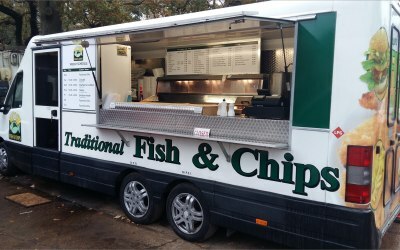 Fish and Chips is THE traditional British high value take away. 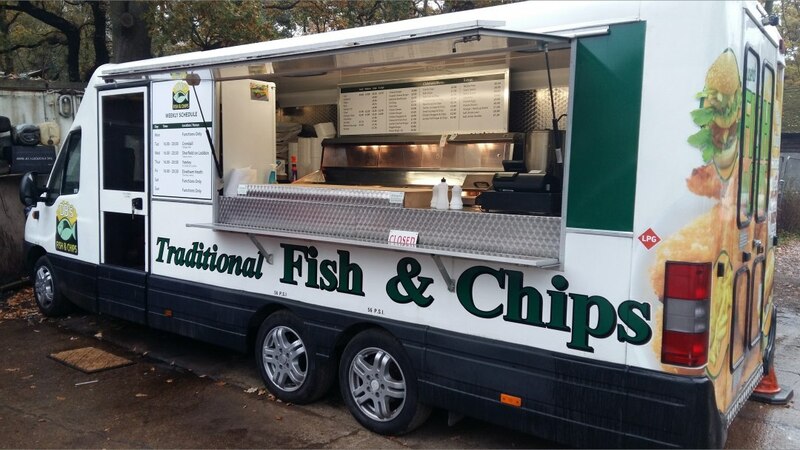 By combining the values and quality that the British public have come to expect with a state of the art fish and chip mobile van, DB's brings your favorite food to your function. Thanku Karen.. Myself & Lorraine found it a pleasure to cater for all your guests at Steve's 60th. We thought you were fantastic. Everyone thoroughly enjoyed their food and complements were numerous, confirming how tasty and ample the portions were for a very hungry crowd. Definitely come highly recommended and many thanks again for doing a smashing job. Thanku Vince. As 18 yr old party's go..Ellis & friends was a dream to cater for. Dave was absolulety fantastic! the food tasted excellent and the service was one to remember, i would highly recommend DB's and will most certainly be using them in the future. Thanku Vicky...Myself & Christine really enjoyed feeding you all...a good bunch of buddies to work with in my opinion. I couldn't have asked for anyone better! I'm lost for words how great this company is. From start to finish, the communication was great. The food was not only extremely good value but the compliments I have received from my wedding guests about the freshness of the food is unbelievable. They arrived in plenty of time to set up and they run a great system to ensure everyone gets fed speedily. I cannot recommend this company enough. I for one, am one very happy customer who will be using their services again in the future. A big thank you to Dave and his team. Thanku Mark. High praise indeed. It was a pleasure for me & Christine serving such a nice bunch of guests. DB’s have received full stars in every area because of their high quality, clean and ordered level of service. They served 170 meals over 3 hrs for our 50th birthday party. At times there was a wait of about half an hour for food but the ticket system of ordering your food, then coming back to collect, worked perfectly. The benefit was delicious triple cooked chips and fish in a light non greasy batter plus other equally good quality alternatives. Our guests raved about the food. Dave is friendly, accommodating, responsive to all communication and serves outstanding food. Wouldn’t think twice about booking him again. Everyone at my party raved about the fabulous food. Personally I found them to be most professional and friendly. I just left them to get on with it and feed my friends and was happily surprised at the fee when I settled up.... Thanks guys! Cheers Peter....and we won't mention the rubbish post code for the hall...and the narrow access lol In all seriousness...you & your guests were absolutely fab to feed. Cheers Ralph....your party were a pleasure to cook for. Absolutely fantastic service loved by every single one of our guests. Everyone commented how brilliant the food was and wouldn’t hesitate to use again in the future. Thanks so much Samantha. Your guests waited very patiently while their meals were cooked. Thanku for your booking. This was our wedding celebration with 100+ guests. David did us proud. Everyone who ate the fresh Fish & Chips was very complimentary. No hesitation in recommending him. Thanku Graham, Myself & Christine enjoyed feeding all your guests. Really made it so easy for me didn't have to do a thing for the food supplied everything great communication so friendly highly recommend food also tasted great. Get quotes from DB's and others within hours.